For some of the very best in Pattaya Entertainment, a visit to one or more of the fabulous ladyboy cabaret shows is an absolute must. I have been to them all and then some. I just love these shows and you don't have to be gay to appreciate the vibrant beauty and exceptional talent these people put into their shows. Some of the best in Thailand have both local as well as top international talent. My honest opinion is that Tiffany's is by far the best of all the ladyboy shows. If you've only got time to see one show here, then Tiffany's it has to be. Every time I go to this seaside resort, I take friends to see this show and I have never been disappointed once. A word of warning, though, you may not take photos once the show starts. A good thing as you don't want to be disturbed whilst the show is in progress. Some of the other shows in and around Thailand do allow you to take pictures, though. You can, of course, take photos outside with your favourite ladyboy. (Can you guess mine?) Did I mention the cost per photo! Last time it was 40 Baht. Take some small change with you and have fun. Speaking of cost, shows start at around 600 Baht per adult. I would recommend you dig a little deeper and pay the extra for a VIP seat. Prices are 850 Baht for adults and 600 Baht for children. Ask for one of the fronts, middle row seats, but not the first row as this row is almost always a target from one or two performers. Not the ones you want. Another tip is to first shop around for the best prices as some hotels and resorts seem to have their own more expensive itinerary. Prices quoted are inclusive of transportation to and from your hotel. 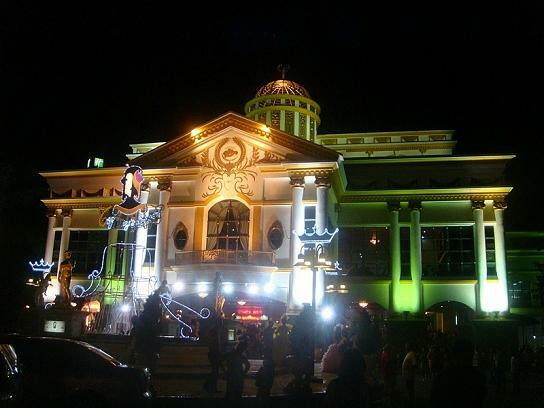 Alangkarn Theater on Sukhumvit Road in Jomtien is a modern multi-dimensional Thai spectacular performed on the longest stage in Thailand. 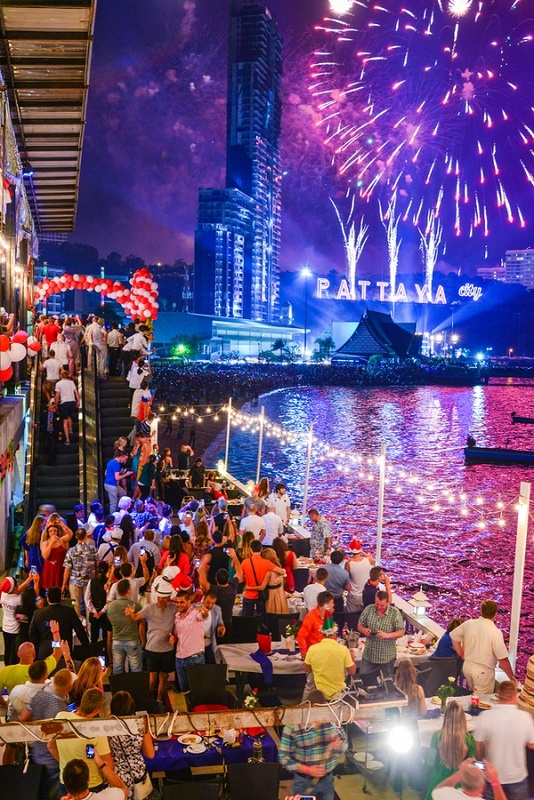 It boasts the latest light and sound techniques using multi-colour laser-light and surround-sound as well as an impressive live fireworks display. Alcazar is a world famous international ladyboy cabaret show situated on Pattaya 2nd Road. The breathtaking performances here are well complimented with some awesome sound and lighting. You just cannot imagine that these cross-dressing performers are actually male. It is nothing short of exhilarating. There are three shows daily at 6:30 pm, 8:00 pm and 9:30 pm. Price for a VIP seat is 700 Baht for adults. This is pure Pattaya entertainment at its very best. Tiffany's first started its legacy way back in 1974 with only a few performers on a small stage. It has now grown in popularity to be arguably one of the top ten all time shows in the world attracting millions of tourists. The theatre today can only be described as a grand palace on a royal scale. The stage sports modern light and sound equipment and there are over 100 professional performers to dazzle you in costumes of unimaginable decadence and pure elegance. Royal Garden Plaza Shopping Complex is not just for shopping but it is home to the world famous Ripley's believe-it-or-not museum and other countless forms of entertainment. 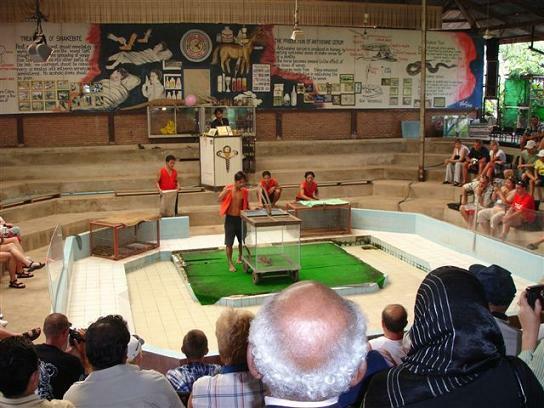 The centre often showcases Ripley's attempts at breaking previous records for cobra kissing or those wanting to endure live scorpions. Kids can enjoy themselves at the indoor water playground albeit while trying not to get too wet. And a cinema complex screens all the latest Hollywood and Thai movies. The centre is fully air-conditioned providing a wonderful break from the outside heat. It is the ideal place to cool down after a spell of suntanning on the beach or roaming the vast street markets. Access to the centre can be gained from either Beach Road or Pattaya 2nd Road. Step inside for alternative enjoyment. Spend the best part of the day here relaxing and at the same time have some fun. There are a number of superb international and local restaurants as well as a few coffee and confectionery shops. Fast-food outlets such as KFC, Burger King and Mac Donald's are also there for your convenience. Best of all the centre has some wonderful Spas to really pamper yourself. One spa gives excellent facials. And then there are all the stores selling the latest designer clothing, jewellery and art. The smaller stalls in the mall sell all sorts of accessories and handicrafts. Some provide services whereby you can have your nails painted with intricate designs of butterfly's, stripes and stars or whatever else takes your fancy. 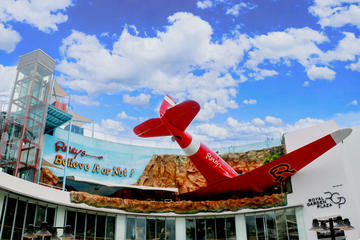 Ripley's believe-it-or-not museum at the Royal Garden Plaza Shopping Complex is a great place to take the kids. They will have a wonderful time discovering all the adventure activities and thrill-seeking rides. One of the highlights is Ripley's 4D movie theatre, which has a high-tech simulator for the ultimate experience. Ripley's Haunted Adventure is a horror-filled attraction that will have kids screaming for more. Based on a replica of the original 20th-century warehouse of the Grimsby and Streaper Casket Company, Ripley's museum has resurrected the haunted tales of this establishment for your terrifying pleasure. Your worst nightmare will unfold as you begin a scary journey through the old and rusty warehouse doors. The special effects captivate and haunt all who enter. Ghosts and evil creatures lurk everywhere. You've been warned. Don’t dare miss Ripley's World when you’re in Town. This is Pattaya entertainment its very best whether you're a youngster, a teenager or an adult. There are no age restrictions at Ripley's and you're going to find it hard to miss out on all the fun and excitement here. 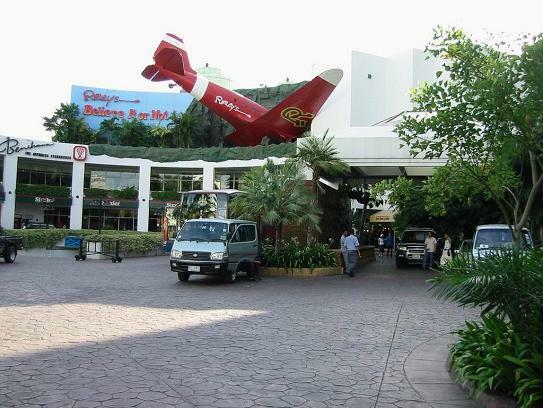 Ripley’s in Pattaya is located on 2nd Floor of the Royal Garden Plaza. You simply cannot miss this place. It features world-class entertainment and attractions where everybody can join in the fun with family, friends and colleagues every day of the week. Just check out all the details on the link above and let the entertainment begin. Infinity Maze is a 20-minute journey beyond anyone's wildest expectation. 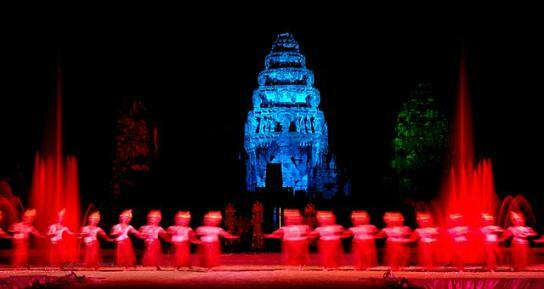 The experience will certainly test your imagination, challenge your perception and mesmerise your senses. Spectacular illusions and innovated sound and lighting effects created in the maze will have all who enter, totally spellbound. Ripley's 4D movie theatre features a 40 motion-seating cinema complemented with some very impressive digital surround sound. The simulated thrill ride creates the illusion you're part of the movie action. The ordeal culminates into an electrifying experience pushing mind and body to the limit as you get trust around in the seats. Pattaya entertainment for the whole family at its best. Nong Nooch Tropical Garden and Resort is a fabulous place to spend the entire day with the whole family. There are loads of things to do here besides wandering around the immaculate manicured botanical gardens. You will come across a variety of Palm's and Cycad's considered to be the largest collection in the world along with the greatest selection of Orchids in Thailand. No need to go hungry either as there are a few good restaurants serving Chinese, Indian, Western and Thai food as well as an excellent seafood restaurant. It's best to sit inside the restaurants as the heat outside seems to attract lots of unwanted flies. They can be rather irritating when trying to eat. There is plenty of entertainment and attractions on offer for the whole family. The impressive list includes continuous traditional Thai cultural shows depicting re-enactments of famous historical events and invading battles of past kingdoms. There are some Muay Thai kickboxing tournaments held here, though the better ones are in Bangkok. Animal entertainment at Nong Nooch Tropical Garden includes a zoo with a variety of wild animals, birds and fish species. There are butterfly and reptile enclosures as well as an aquarium. Why not have your photo taken with any one of the animals? The whole family can watch performing elephants as they play football and other games as well as painting. Yes, you can buy a T-shirt painted by an elephant. There is also daily snake shows and if that is still not enough, you can wander through the zoo and see tigers so tame that you can touch them, all under a supervision of course. View more photos of the gardens at Pattaya Attractions.